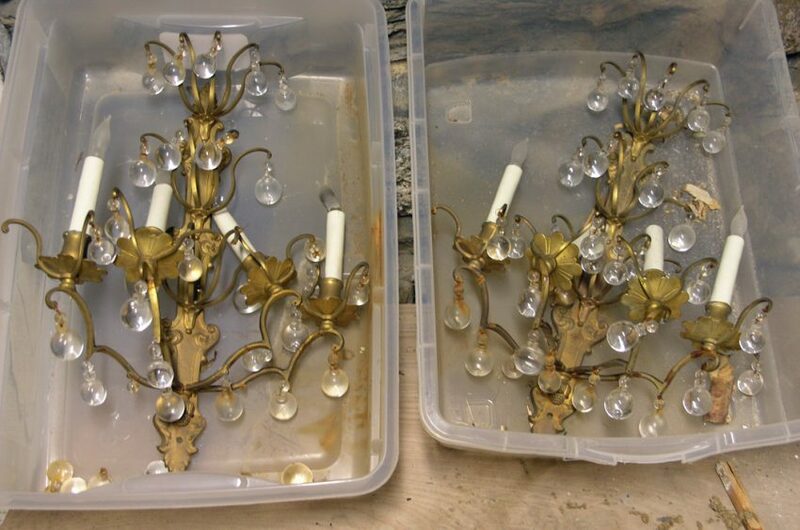 Restoration for these 2 antique wall sconces included repair, re-wiring, and gilding. Both had bent arms, and several of the glass balls had fallen off. I began the project by removing the rest of the glass balls, the old wiring, and the sockets. Then heated the bent arms with a torch so they could be re-aligned. Next, all the surfaces were cleaned and re-gilt with gilding powder. The candle holders were re-worked to accept new sockets and wiring. New cover sleeves and bulbs were installed, and the glass balls were cleaned and re-hung with brass wire. 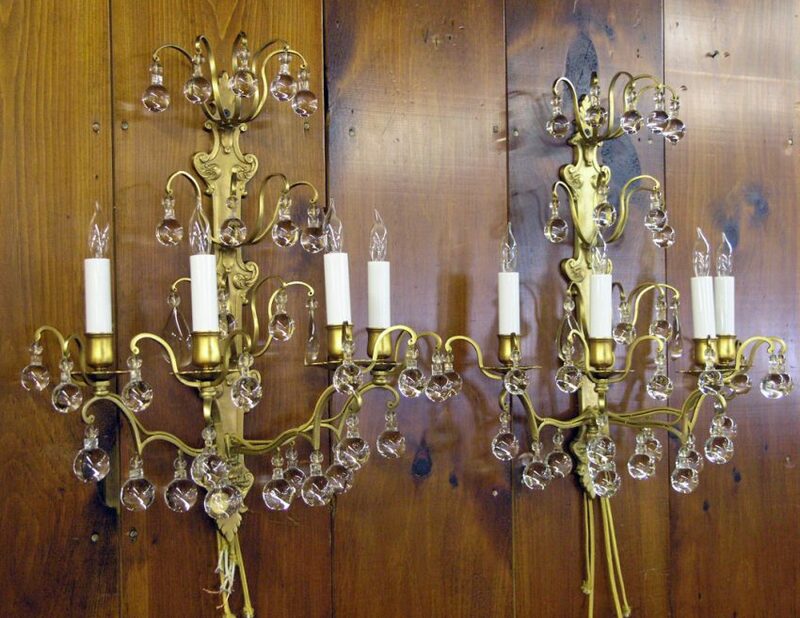 These 2 wall sconces were restored for a Millbrook NY client.